Our office is not only dedicated to your smile, we’re also dedicated to your overall wellness. We take a holistic approach to your dental care, which includes an oral cancer screening as a part of your regular exam. Like any kind of cancer, oral cancer can be life threatening if not diagnosed and treated early. You are the most important factor in the early diagnosis of oral cancer through routine screenings through our office. 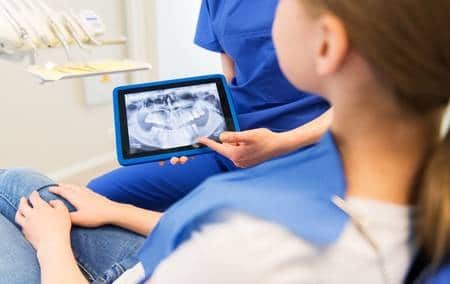 Our team is trained in a simple, quick screening that involves an examination of your oral cavity as a whole and not just your teeth to detect cancerous and pre-cancerous conditions. Besides a visual examination of your mouth, we will also feel the tissue of your mouth and throat to detect any abnormalities. If we find an area of concern, we may perform a simple test, such as a brush test, which collects cells from a suspicious lesion in the mouth to be sent to a laboratory for analysis. If this test comes back atypical or positive, we may recommend a biopsy. Limit your exposure to the sun and always wear UV-A/B-blocking sun protective lotions on your skin as well as your lips. To schedule an oral cancer screening, ask at your next appointment or call us at (813) 540-7467 to make an appointment.